Samsung‘s new flagship tablet “Samsung Galaxy Tab S2 8.0” went to China (TENAA agency) regarding their approval for use in the country. This new Tab S2 8.0 and Tab S2 9.7 are expected to the world’s thinnest tablet devices. I’m using Samsung’s current flagship tablet – Samsung Galaxy Tab S 8.4 and I really love it. It supports 128GB microSD card and it’s been my media device for months. The new Tab S2 8.0 has the model number SM-T715. 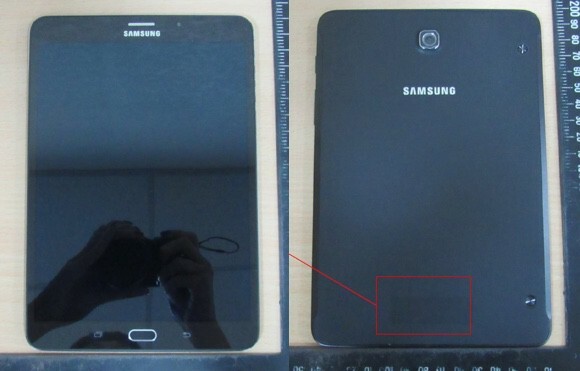 It is to be believed that Samsung Galaxy Tab S2 8.0 photos were leaked yesterday. These images were supposed to be taken from the official website of Taiwan’s telecommunications certification authority. Both these models are expected to be launched this month. As usual, Samsung might be targeting these tablets with Apple‘s existing and upcoming iPad devices. I’ll write a new post regarding their expected features and other official details soon.